No one has the cash to buy a super-fancy turkey. Even if you’re wealthy–it seems like a total waste to shell-out tons of money for a turkey that may or may not taste like burnt charcoal. 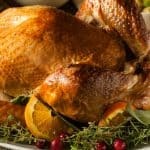 Those super-cheap turkeys (or is that turki?) seem like such a great deal. If you screw it up, it’s no big waste. But what if I told you that there’s a n0-fail way to cook a cheap turkey and it’ll taste like a million bucks every time? Super-duper excitement got you on the edge of your seat? What if I told you it would be easy to do, too? Now, you’re just falling on the floor with excitement, yeh? Heh. Here it is, the no-fail recipe for How to Make a Cheap Turkey Taste Amazing. And, to be honest with you, it’s the easiest turkey recipe ever. And kinda silly–which makes it fun. At the very least, the kid’s will think it’s hilarious. Thaw the turkey according to package directions (in the fridge). Preheat the oven according to the turkey’s package directions. Remove giblets and wash the turkey well. Mix together the peanut oil and paprika. Stir until thoroughly mixed. Rub the mixture onto the Turkey (inside and out). Place the turkey into the brown paper sack, fold the end of the paper sack to close, then staple. Bake the turkey according to the package directions. 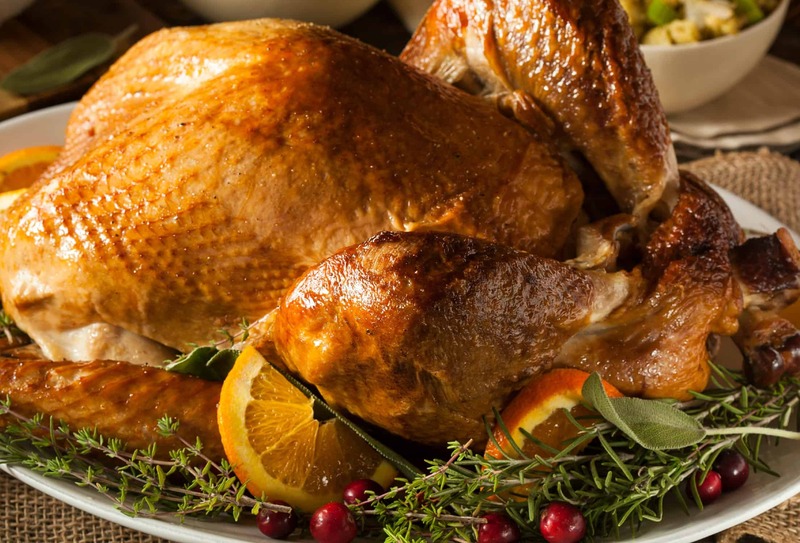 Remove turkey from the sack and garnish with slices of oranges, cranberries and fresh green stuff. Gloat over the awesomeness that is your turkey before your guests arrive (because it’d just be rude to do it when they were there, plus the dance you do–it’s just too much). You will be amazed at how beautiful the finished product is. The skin should be crispy and golden brown, and the meat…falling off the bone. 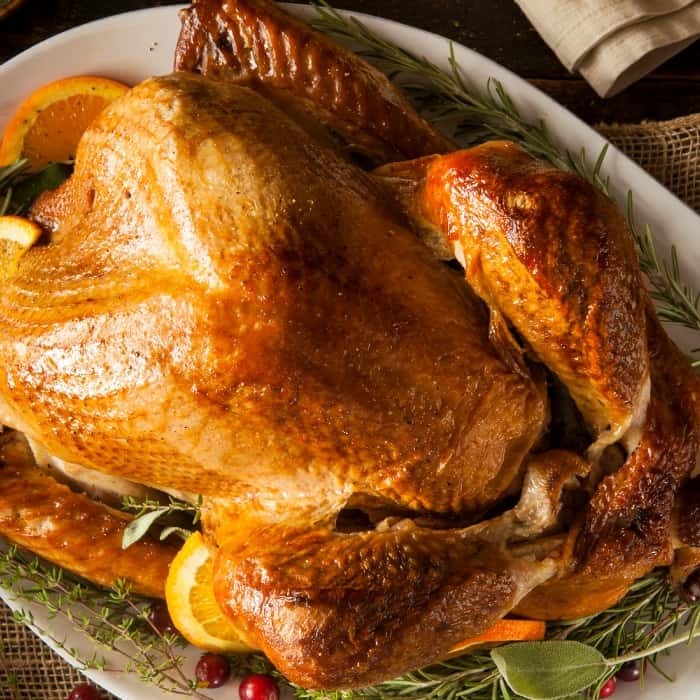 If you follow these steps for How to Make a Cheap Turkey Taste Amazing, your Thanksgiving main dish will be moist, tender, and pretty to look at, which is like a trifecta of awesome. I’d love to hear what you have to say, if you end-up making your turkey this way. So, drop us a comment below or DM us on Instagram. Heck, just pin it and show your love, if you think you might use this recipe this Thanksgiving. LOL! 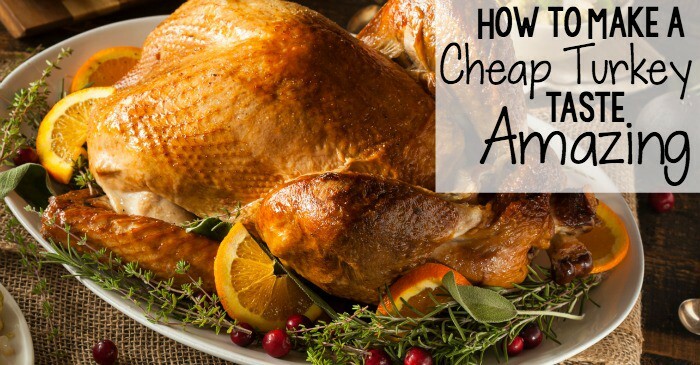 the no-fail recipe for How to Make a Cheap Turkey Taste Amazing. And, to be honest with you, it's the easiest turkey recipe ever.